Mario Lorenz DL5MLO and Achim Vollhardt DH2VA from AMSAT-DL Bochum gave a presentation on the ISEE-3 (ICE) spacecraft to the AMSAT-UK International Space Colloquium in Guildford, on July 26, 2014. The video of the presentation which included a live demonstration of telemetry reception from the spacecraft can now be viewed on the web or downloaded to your PC. The presentation slides and a recording of ISEE-3 telemetry are also available. 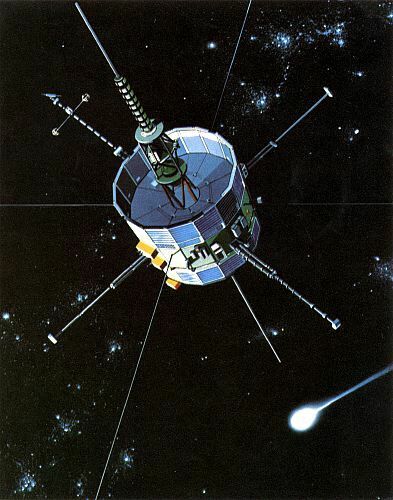 The International Sun-Earth Explorer (ISEE-3) is a NASA spacecraft that was launched in 1978 to study Earth’s magnetosphere. It was repurposed and renamed the International Cometary Explorer (ICE) in 1983 to study two comets and has been in a heliocentric orbit since then, traveling just slightly faster than Earth. It’s finally catching up with Earth from behind with the closest approach expected in August, 2014. Since NASA no longer has the capability to receive and command the spacecraft a group of amateurs, with NASA’s permission, decided to do it for themselves. On March 1-2, 2014 radio amateurs at the Bochum Amateur Radio Facility in Germany were able to detect the beacon signal from the spacecraft over a distance of 43 million km. After some changes to the ground equipment and aligning the receive antenna to the predicted position in the sky, the 2 GHz beacon signal could positively be identified due to its frequency, the position in the sky and the frequency shift due to the radial velocity (Doppler shift). The 20m dish at Bochum was used to receive the signals. 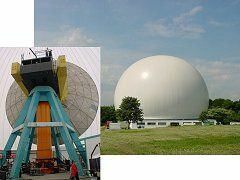 In 2003, AMSAT-DL converted this former industrial monument into a fully functional groundstation for deep space probes. Since 2009 the facility is being used by volunteers almost full time as ground receive station for data from the STEREO mission with its two spaceprobes monitoring the sun from different viewing angles. In June Dennis Wingo KD4ETA and other volunteers succeeded in commanding the spacecraft using the Arecibo dish in Puerto Rico.